The v1.10 II is an evolution of its successful predecessor, for the first time featuring a fully lightweight microfiber synthetic upper. The lace cover creates a smooth kicking surface and a unique look whilst the injected TPU application on the formstrip adds stability to the shoe. The one-piece outsole provides stability and support, utilizing a carbon fiber plate in the forefoot to minimize weight and to increase the reactivity in the flex area. 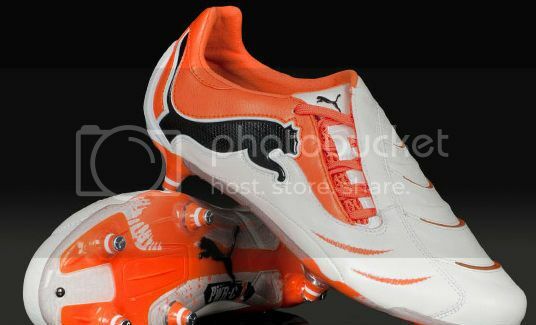 The v1.10 II features the second generation of PUMA’s revolutionary UNI technology. 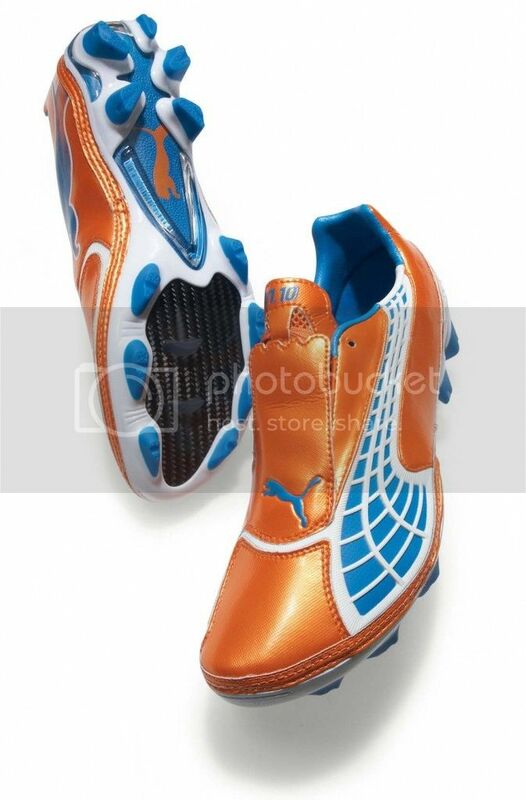 This construction provides an industry leading fit by perfectly replicating the unique PUMA AptoLast. The v1.10 II was created with one thing in mind – to give you the confidence to be the fastest. PowerCat 1.10 Tokyo is the perfect combination of engineering and comfort in a striking design. 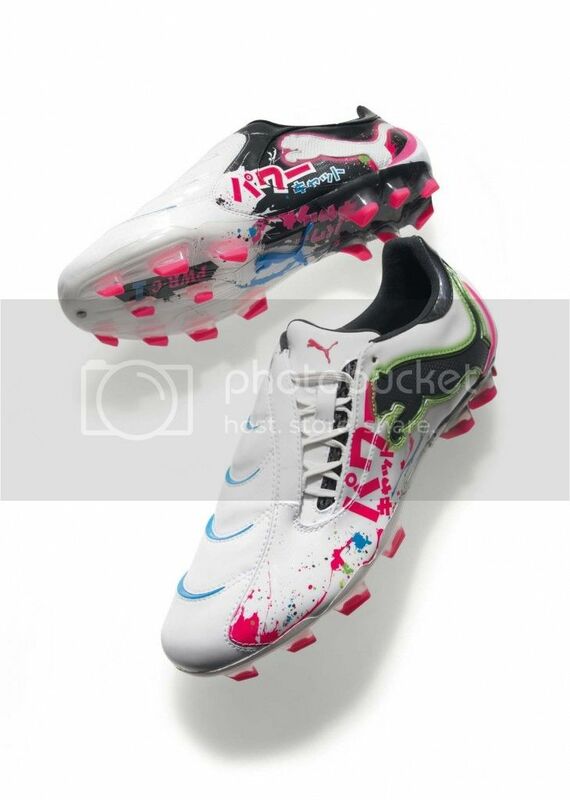 The injected PUMA 3D Power Shooting Technology (PUMA 3D PST), the fresh Cat branding and the super soft and thin premium microfiber make the PowerCat 1.10 Tokyo the boot of choice for true football players who want stand out on the pitch. The PUMA PowerLast and the stable yet flexible outsole create a snug and comfortable fit whilst the dual density external heel counter provides protection against outer forces. The Japanese character for speed gives the v1.10 II Graphic its unique look. The lace cover creates a smooth kicking surface whilst the injected TPU application on the formstrip adds stability to the shoe. The one-piece outsole provides stability and support, utilising a carbon fiber plate in the forefoot to minimize weight and to increase the reactivity in the flex area. 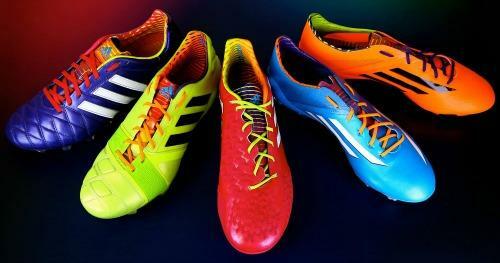 The v1.10 II Graphic features the second generation of PUMA’s revolutionary UNI technology. This construction provides an industry leading fit by perfectly replicating the unique PUMA AptoLast. The v1.10 II Graphic was created with one thing in mind – to give you the confidence to be the fastest.